You never feel entirely safe in Sunless Skies. Even with a train full of fuel and supplies and nothing creeping up behind you, there is a still a tingle of dread in every corner of the sky. Maybe its because the void will surely kill you if your train breaks. Maybe it’s because someone on your crew is a little too peculiar. Maybe it’s because you’ve already died a couple times now. Sunless Skies, the successor to Sunless Seas, is a fantastic game that barely misses a step in delivering an incredibly imaginative, incredibly intriguing, and incredibly inhospitable world. Players take the role of a captain of a train that forges through the skies. You can design your captain’s backstory and ambitions to make each attempt to play the game a new one. While exploring the unfriendly stars surrounding Albion and the London Empire, players will encounter impossible creatures and bewildering cities. 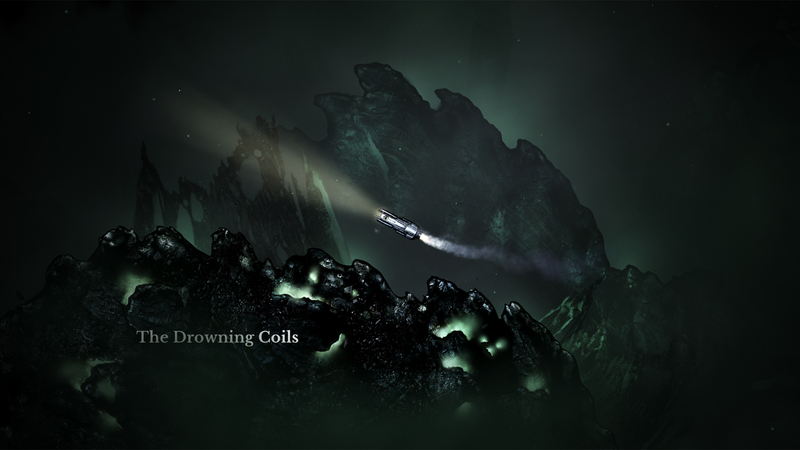 Like in Sunless Seas, the exploration in Sunless Skies is second to none. Each port, quest, and character is so unique that you can truly never know when to expect each time you play the game. Unlike Sunless Seas, Skies is broken up into several regions that players must travel between. While it might sound like a step backward compared to the previous game, it actually really helps inject each location with its own sense of personality, which is harder to do on an unbroken map. On top of that, each region is beautiful to look at it. There’s a lot of emptiness in space, but you won’t see that in Sunless Skies. From the lush and imposing forests of The Reach to the gaping vortex of The Blue Kingdom, the locations are all small works of art that you can pause at to admire. The only thing more beautiful than the artwork in Sunless Skies is the writing. Most of the storytelling and a lot of the game is brought to the player as short stories and descriptions that bring incredible detail to the world. The quests and chances to explore the cities and oddities through text is one of the absolute highlights of the game, with its twists and turns all carried through with unwaveringly thought-provoking prose. A lot of the strange dread that permeates the game is found in the text too, as it exposes the player to the uncanny oddness of the world they are exploring. Everything in Sunless Skies doesn’t quite make sense in our mundane world, but there is a subtle logic to it that makes you feel like a constant outsider, never quite understanding what it is that you’re seeing, but knowing everyone else does. And this adds to the dangers of the skies. You can be killed, reduced to cannibalism or driven mad quite quickly amongst the stars, but death is a small price to pay to experience it. It’s almost hard to imagine, but Sunless Skies creates a terrifying, dangerous world that you really want to explore. Even against your better judgment, your train will pursue the dangerous strangeness all the way to the Blue Kingdom, the land of the dead. But that is not to say you are defenseless on your journey. Your train can fight back and combat is markedly improved from Sunless Seas. With more movement options and momentum, players won’t be endlessly circling their foes but dancing between bullets and abandoned factories as they line up their vengeance. This is great, especially because combat is a much more regular feature of Sunless Skies as well, with beasts, trains and oddities always lurking close to your train. These enemies too are more interesting to fight. I’ve been religiously avoiding spoilers because this game is at its absolute best when you discover something on your own, but I will have to break my cardinal rule just once. Traveling to a rebel port I came across a royalist dreadnought, but it didn’t seem to mind my presence. Moving as passively as I could I drove by, only to find that once I had my back to the war machine, it sprang to life and tore my train apart. The enemies are smarter when they hunt you now, lying in ambush, using allies and targeting you in specific ways. This means that not every fight will feel the same, and all of them will have a unique element of danger. Death in the game has been given a reprieve as well. While in Sunless Seas death meant starting again with next to nothing unless you’d carefully crafted your will, Skies is a little less punishing in this regard. You can play an Ironman-like mode or a normal mode. Even then, passing along your belongings is a lot easier this time around and you won’t feel so much like you’re back to square when a swarm of space bees eats your flesh. There is so much to like about Sunless Skies it’s almost hard to remember all of it. The sound design, from the cities to the sound of your lonely engine chugging through the void is perfect, especially accompanied by the game’s lovely, if slightly unnerving music. The only downside to this game is the occasional long stretches of empty space as you complete a trading opportunity and don’t encounter anything interesting. But even then there is that same constant dread tugging at the back of your mind, a little voice that doesn’t sound like your own telling you about the terror amongst the stars and the things that might be just about to come out and find you. If you like incredible writing, lovely art and impossibly creative and surreal stories, go get Sunless Skies. Review code provided by the publisher. You can buy the game on Steam. Sunless Skies delivers in ways you don't even expect it to. The atmosphere is incredible, and the stories almost addictive. The world is beautiful and the danger is tantalizing. It might be deadly, but it's well worth the trip.